HBP scientist Marcello Massimini believes we are close to a profound leap in our understanding of consciousness – he likens it to the moment before Charles Darwin began mining the rich seams of evidence that led to the theory of evolution. The Italian doctor and scientist admits he may be optimistic, but still “we have this sort of primordial boiling soup where everything is there and we just need to cope with it”. It is within this spirit of understanding and promise that the HBP is hosting a large, international conference to explore consciousness. The conference (in Barcelona 21-22 June 2018) will bring together the latest thinking from within the HBP along with insights and ideas from some of the world’s leading researchers and thinkers on consciousness (including David Chalmers, Wolf Singer, Melanie Wilke, and Ned Block). Massimini says one of the strengths of the HBP is the way it can bring together the different fields of thinking around consciousness, and combine these with the power of simulations to address fundamental questions about the relationships between consciousness and the physical world. The question then, says Massimini, is why? What is different with the 80 billion neurons of the cerebellum that they remain an unconscious zombie, despite the fact that they process sensory information and produce extraordinarily complicated motor outputs? In contrast, it is very clear that the thalamocortical system is extremely important in consciousness. Massimini speculates it may be that the cerebellum turns out to be similar to the feed forward systems of most deep-learning networks. “They can do a lot of things, they can learn, coordinate, they can perform beautifully, but, like the cerebellum, they are presumably not conscious." In a related aside, Massimini says the problem of the relationships between intelligence and consciousness, which will be extremely relevant in the near future as artificial intelligence advances, can also be tackled within HBP through its interwoven strands of neurobiology, simulated networks, neuromorphic emulations, robotics and philosophy. Another example of HBP effort that may turn out to be key for the science of consciousness, says Massimini, is the recent work by HBP theoretical neuroscientist Idan Segev and his team on the difference between rat and human neurons. To understand why this is important, Massimini explains that one of the common ideas that he and others are working on is a belief that a fundamental requirement for consciousness is that cortical neurons in different areas can affect each other through reliable interactions. This means that subtle differences in intrinsic neuron properties can change the overall interactions in the network in profound and fascinating ways across different brain structures and animal species. These differences can make the interactions more solid, easier, and more reliable. It is another piece of the puzzle. So what is the difference in consciousness between a rat, and a human, and how could this ever be measured or understood? Massimini says that in the years to come it will be crucial to further elucidate the relationships between single neuron dynamics, overall network complexity and consciousness through extensive experiments across scales, species and models, spanning from ionic channel models to whole-brain computer simulations, from in vitro preparations to the patient’s brain. 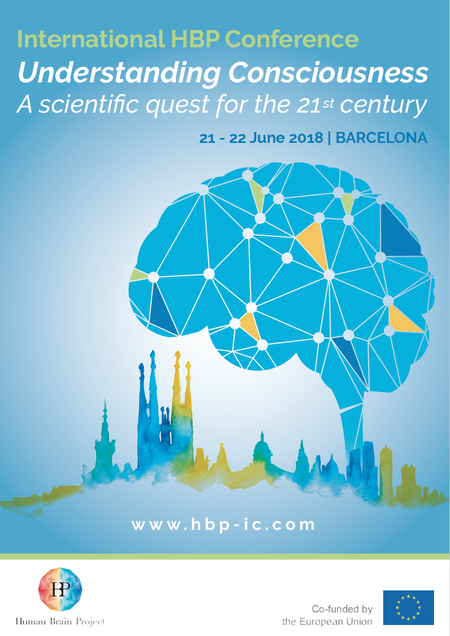 The HBP’s International Conference ‘Understanding Consciousness: A scientific Quest for the 21st Century’ will be held in Barcelona on 21-22 June 2018. Click here for programme, speaker and registrations details.